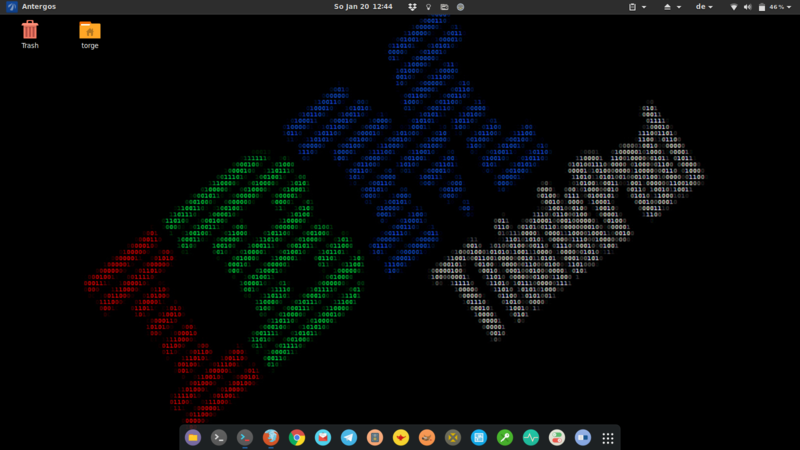 I switched my thinkpad 420s (8GB ram, 150 GB SSD + 300 GB HDD, nvidia graphic card) to Antergos two month ago and almost everything is going well! So thanks to the devs! Im not very familar with Linux, I had last in use fedora and debian on the desktop in 2013 as fare as Im aware of. I normally run *BSD (mostly FreeBSD) on my machines and continue to on my Home Desktop and a NUC. But since I would like to use the t420 as media laptop mostly for streaming, netflix, music etc. I decided to go with Linux for cutting edge apps and better bluetooth support. 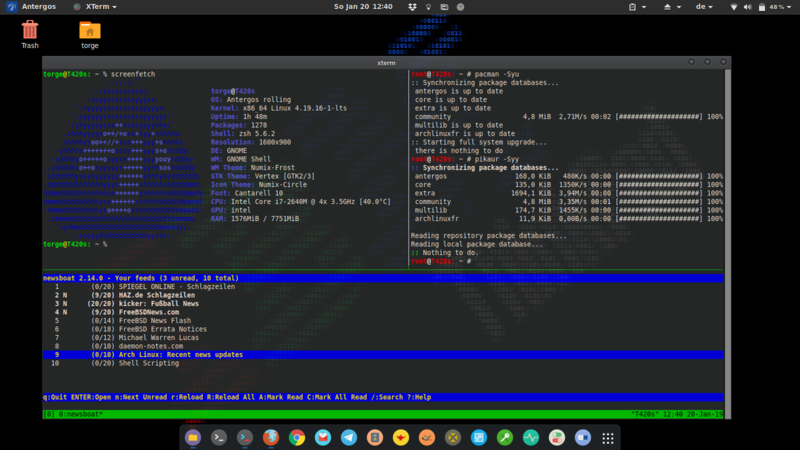 After I decided to go the Arch way I took a look at Manjaro and Antergos (cause Im rather lazy and wanted a desktop out of the box). In the and I decided to take … you know !